The Mahābhārata is South Asia’s most important literary text. A long narrative of epic struggle between two sets of parallel cousins, it tells of the transformation of social, religious and cultural mores in ancient Indian society between 200BCE and 200CE. It was once known at all levels of society and has continued to be read, heard and performed up until the present day. Join us with La Trobe University’s Greg Bailey for this MTalks lecture that speaks about the ancient yet enduringly significant Mahābhārata. Jump back in time to the beginning of the common era when it was first composed; Greg will summarise the contents and principal characters, as well as describe some of the most dramatic moments in the narrative. 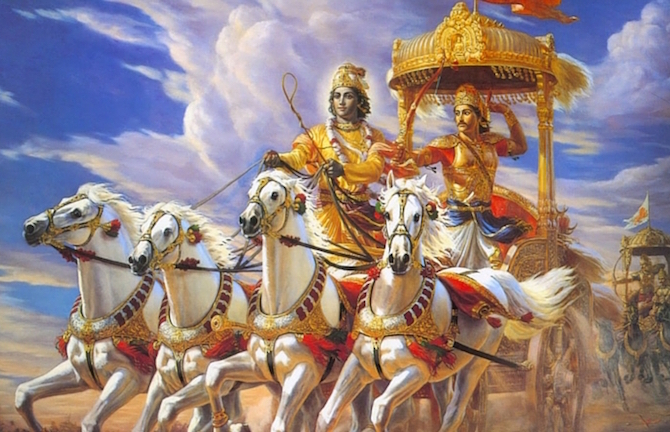 Explore how it fits in the modern world; the way it continues to be used in the media and political circles, and how it has been shaping modern Hindu culture. You can revisit this lecture via MPavilion’s library page.